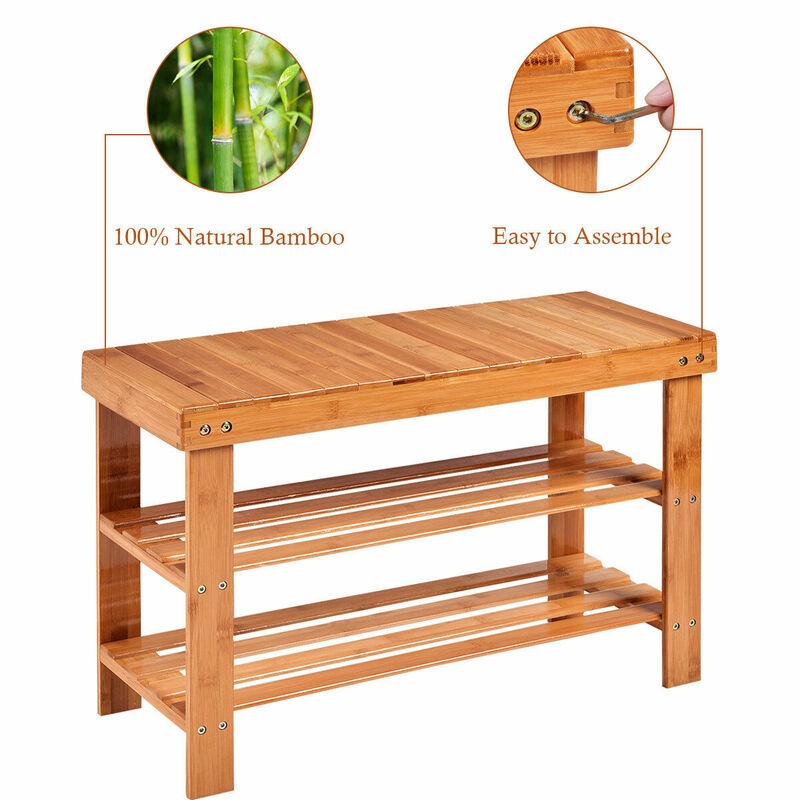 This is our new bamboo shoe rack bench, which is in high quality. And it is made of bamboo, which is environmentally friendly and durable. This shoe rack bench is really practical and useful. It can be used in many ways. You can sit on the bench not only when you are wearing your shoes. It has two shelves, on which many shoes can be put. This shoe rack bench is a good space organizer that can help you make your room become neater. So do not be hesitated! Come and buy one!